SOCHI, Russia – Eleven players found the scoresheet but the U.S. Under-18 Team ultimately fell to Sweden 7-5 at the 2019 Under-18 Five Nations Tournament Wednesday afternoon at the Iceberg Skating Palace. 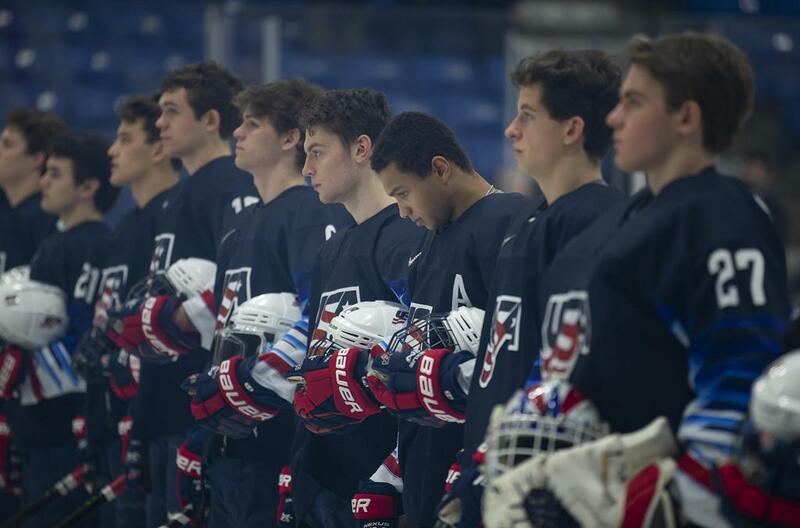 "We’re disappointed with the loss but there are learning opportunities," John Wroblewski (Neenah, Wis.), head coach of the U.S. National Under-18 Team, said. "The chance is still there to compete for the championship." Ryder Rolston (Birmingham, Mich.) opened up the scoring when he collected a pass at the bottom of the right circle from Trevor Zegras (Bedford, N.Y.) and fired it home 5:31 into play. Alex Turcotte (Island Lake, Ill.) doubled the lead with 3:16 remaining in the frame when he collected a loose puck in the crease. Sweden got on the board late in the first with 1:17 to go when they found the back of the net off a rebound from an initial Cameron Rowe (Wilmette, Ill.) save, cutting Team USA’s lead in half entering the first intermission. Owen Lindmark (Naperville, Ill.) extended Team USA’s lead when he capitalized on a rebound off a Domenick Fensore (Thornwood, N.Y.) shot 7:41 into the middle stanza. Sweden converted on a breakaway 9:56 into the frame, before capitalizing on a power play with 4:02 left in the second period to tie the game. With just over a minute left to play in the second period, Sweden took a one-goal lead with a screened shot from the slot. Zegras tied the game five minutes into the third period when he converted on a stretch pass in the slot from Matthew Boldy (Millis, Mass.). Team USA took the lead soon after when Cole Caufield (Stevens Point, Wis.) tucked home a pass from Michael Gildon (Plano, Texas). Sweden tied the game with 4 minutes left, followed by another goal with just over a minute remaining to take the lead. Team USA entered the final 1:50 of play on a 5-on-3 penalty kill, where Sweden concluded its scoring with an empty-net goal to account for the 7-5 final. 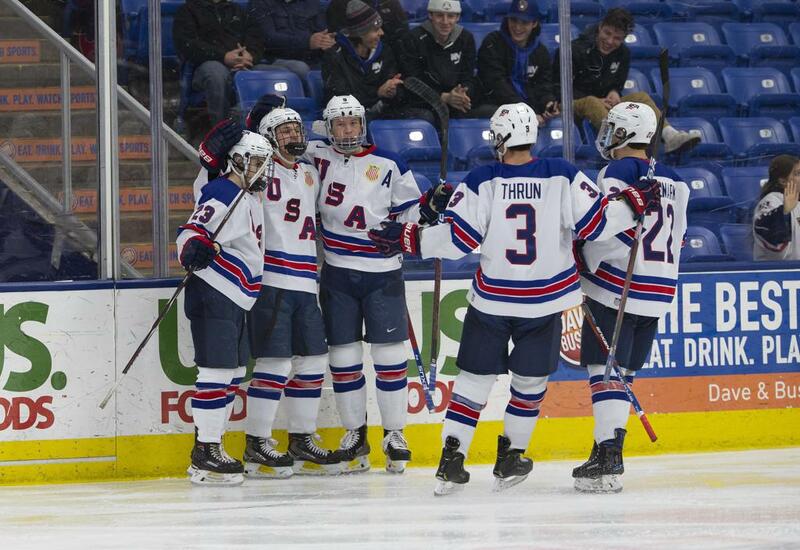 The U18s return to the ice Thursday against Finland for a 10:30 a.m. ET puck drop at the Iceberg Skating Palace. 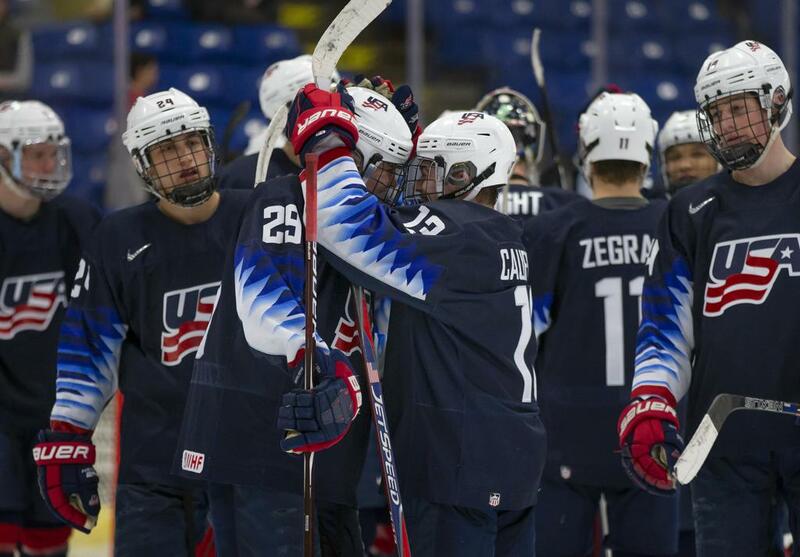 NOTES: Team USA went 0-for-1 on the power play and 1 -for-4 on the penalty kill ... The U18s outshot Sweden by a 49-31 margin.